Members of AFSCME Local 3073 Having Halloween Fun! Members of AFSCME Local 3073 and the administration at the Belmont County Department of Jobs and Family Services got together for a little Halloween fun prior to starting this season’s joint community projects. 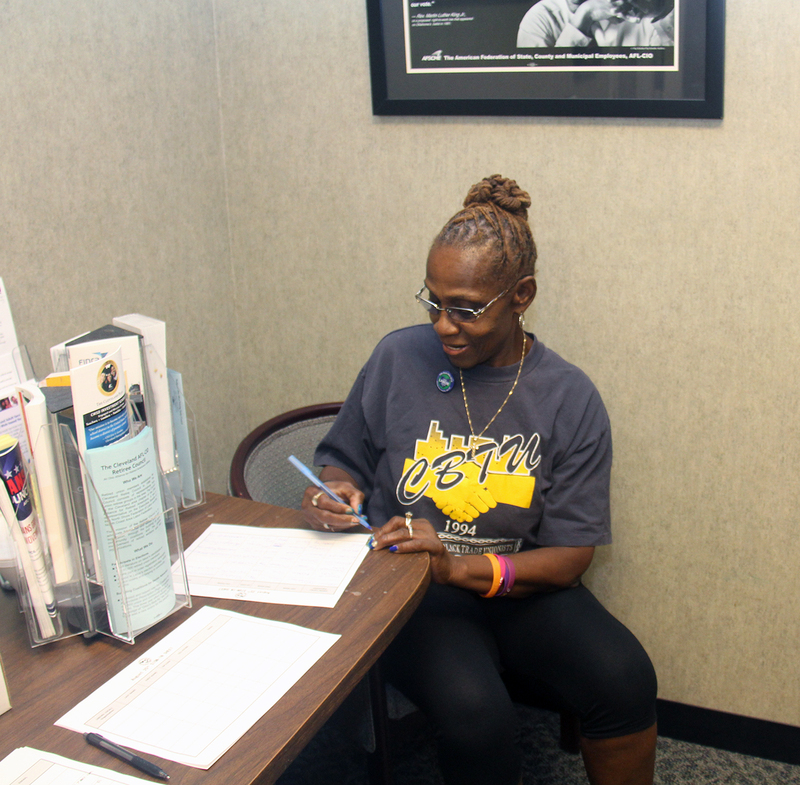 “AFSCME Local 3073 members and the Administration have a strong relationship that goes beyond the workplace, said Tracey Oates, an Ohio Council 8 Staff Representative in the Youngstown Region. 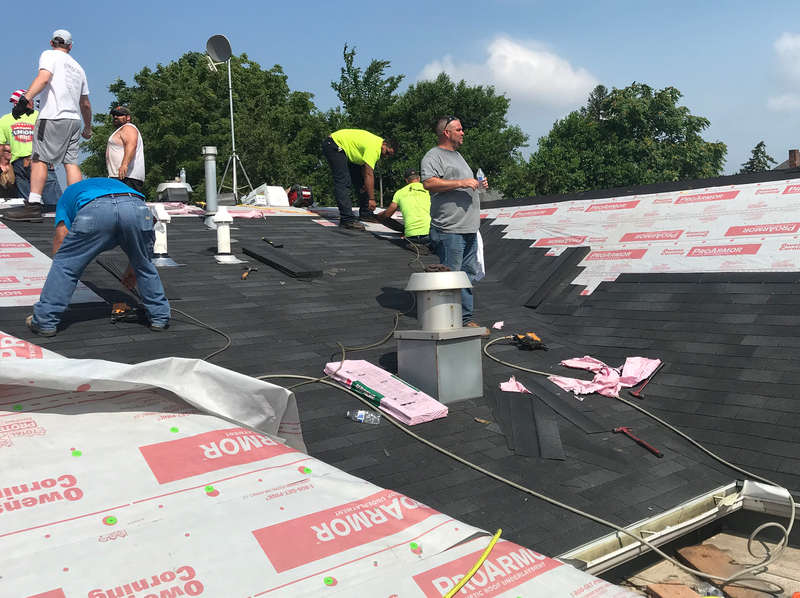 Labor and management work together to serve their community just about every holiday. At back-to-school time, they provided students clothing and school supplies, and virtually all employees participate an annual food drive to make Thanksgiving better for the less fortunate, “and the list goes on,” Oates said. Taking its name from the French for “beautiful mountain”, Belmont County, population 70,400, runs along a 40-mile stretch of the Ohio River on Ohio’s eastern state line with Pennsylvania. AFSCME Ohio Council 8 stalwart Angela Caldwell joined members in the Cleveland Region and across the state for the third Ohio AFL-CIO Day of Action. Volunteers turned out to knock on doors and make calls to fired up union households and get them ready to go to the polls to elect Richard Cordray as Ohio Governor. “I retired and then looked up to see things going so bad in this country and what we won with our blood, sweat and tears being taken away – it made me mad. I just couldn’t sit back and watch, my union roots wouldn’t let me,” she said. A 20-year member of AFSCME Local 100, representing Cleveland city employees, she held many union offices including Union President. In 1993, she started a second career as an Ohio Council 8 staff representative in the Cleveland Region, retiring in 2011. She is currently an active member of AFSCME Retiree Chapter 1184. Tuesday October 9th is the deadline for voter registration, “so we need to make sure people are ready and able to vote. Labor has to lead the way like it always does,” Caldwell said. She is now working with the Ohio AFL-CIO’s Cleveland office during the election. Article published in the New York Times on August 25, 2018. The Ohio Public Employees Retirement System Board of Trustees has certified the election of Ken Thomas and Randy Desposito to four-year terms on the OPERS Board of Trustees. A Critical Care Nurse and President of AFSCME Local 2415, the union for University of Toledo Medical Center Employees, Desposito was appointed to fill a vacancy on the OPERS Board in 2017. 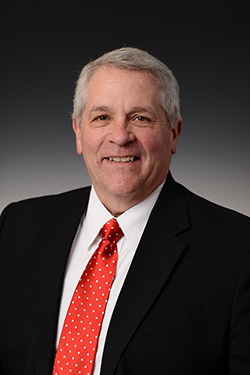 Elected to a full term, he will represent non-teaching State College and University employees. Ken Thomas, representing municipal employees, has served on the OPERS Board since 1993 and is a 33-year City of Dayton employee, currently senior employment manager at the City of Dayton Civil Service Board. Ken was a long-time member of AFSCME, Local 101 and served for nine years on the AFSCME Ohio Council 8 Executive Board as a Dayton Regional Vice President. According to AFSCME Ohio Council 8 President John A. Lyall, in years past labor had a majority on the board “and now these seats are back with AFSCME. This is an example of the clout only a unified statewide organization has,” he said. Thomas and Desposito will join AFSCME Local 3360 Cleveland MetroHealth President Julie Albers, representing County employees, and AFSCME Local 11/OCSEA President Chris Mabe, representing state workers on the 11-member board. “Ken and Randy are part of the AFSCME team committed to a strong defense of our defined benefit (guaranteed) pensions. This is more important than ever because of the anti-worker environment we are presently in,” Lyall said. The Board of Trustees is responsible for the administration and management of OPERS. Board members also authorize the investments made with the system’s funds. They receive no compensation for their service to OPERS. Randy Desposito, left, Ken Thomas, right. The Ohio Council 8 Executive Board is pleased to announce that Alyssa Ann Grega has been awarded the Patricia Kunk Scholarship and Zachary Rondeau has been awarded the Theodore Patton Scholarship as part of the AFSCME Ohio Council 8 Family Scholarship program. Alyssa is the daughter of Leslie Grega who is a member of AFSCME Local 7, which represents City of Toledo employees. 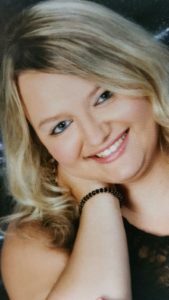 A graduate of Sylvania Northview High School, Alyssa was as a motivated student who achieved an outstanding academic record. In addition she participated in many school and community activities. In her winning essay, Alyssa shared her firsthand union education. Growing up in the aftermath of “The Great Recession” she saw the toll economic uncertainly takes on a family and a community, and also the value of union representation. “I want to find a career where I feel secure and where my rights as an employee are respected. That means a union contract,” she said. She will be attending The Lourdes University this fall pursuing a degree as an Athletic Trainer and plans to work with the Wounded Warrior Project. The 2018 men’s scholarship winner, Zachary Rondeau, is the son of AFSCME Local 3360 member Paul Rondeau. 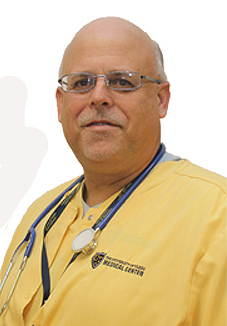 An active member of the union representing employees at Cleveland’s MetroHealth Medical Center, where he serves a steward, Paul has been a member since 2003. 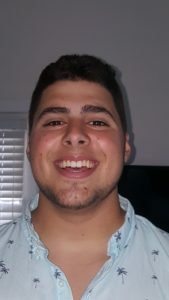 Zachary graduated from North Olmsted High School, where he was active in sports, had a strong academic record, and was respected by his classmates and teachers. Excelling at math and science, Zachary will be attending Ohio Northern University in the fall where he plans on becoming a mechanical engineer. The 2018 AFSCME Ohio Council 8 Scholarships are named in honor of Toledo unionist Theodore R. Patton Sr. and Dayton Region Office Secretary Patricia Kunk. Patricia Kunk began her AFSCME career in 1976, when she became office secretary for AFSCME Local 101 Dayton Public Service Union. Two years later she became office secretary for the Dayton Region that was created with the formation of AFSCME Ohio Council 8, which unified the state’s eight AFSCME public employee councils. Prior to AFSCME, she was employed for 13 years by the National Cash Register Company. In addition, she was active in politics and could be depended upon for block walks, door knocking, and phone banks. She retired in 2010 and still helps out in the Dayton office when needed. Theodore R. Patton Sr. worked for the Toledo Public Schools for 36 years. 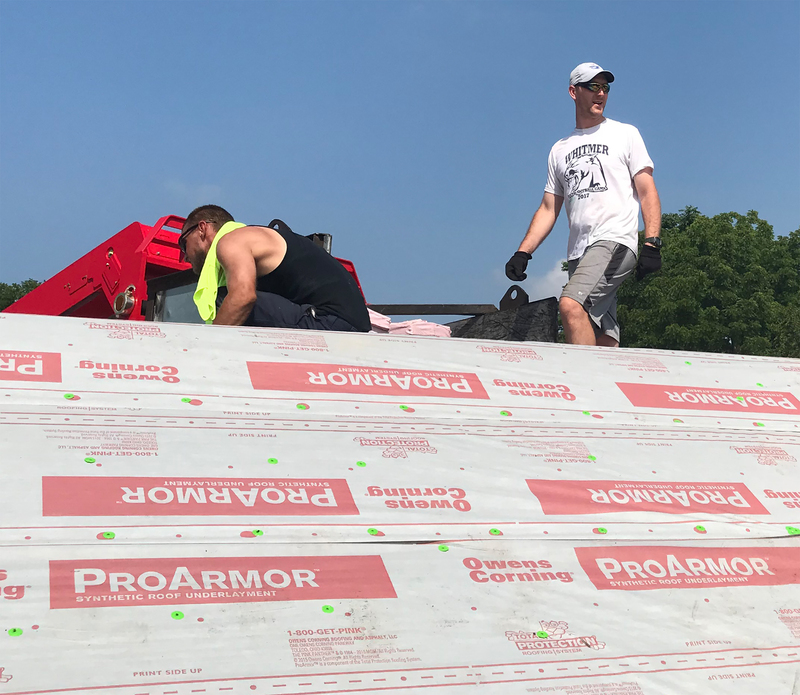 As a Boiler Operator, he was a long-time member of AFSCME Local 272 which represents the district’s heating, maintenance, and security employees. In addition to holding local union offices, he served as an Ohio Council 8 Toledo Regional Vice President. In 1985, Patton was elected Ohio Council 8 Secretary- Treasurer, a post he held until retiring in 2002. He was active in the Coalition of Black Trade Unionists, and served with the Toledo community project, Second Chance, which helps felons re-enter society and get their records expunged. He passed away early last year at age 89. Ohio Council 8 First Vice President Harold Mitchell, chairperson of the executive board committee that reviews the scholarship applications, wished Alyssa and Zachary the best of luck pursuing their higher education goals. In addition to Mitchell, the Scholarship Committee includes Cleveland Regional Vice President Julie Albers, Athens Regional Vice President Dave Logan, and Trustee Kim Gaines. AFSCME Local 3501 member Susan Reed joined Ohio Council 8 members in the Athens Region and across the state for the second Ohio AFL-CIO Day of Action aimed at getting people to the polls. “Our members are motivated and educated and ready to move ahead. They understand that the only thing that will change the direction we’re heading in is to get out and vote – and time is going by fast,” she said. A 26-year employee of Scioto County Department of Jobs and Family Services, Reed works as a Child Support Investigator. She also serves on the executive board of the local union which represents more than 60 JFS employees. Tuesday October 9th is the deadline for voter registration, “so we need to make sure people are ready and able to vote,” Reed said. The next Ohio AFL-CIO Day of Action will be Saturday, August 25th. Click here for times and locations across Ohio. 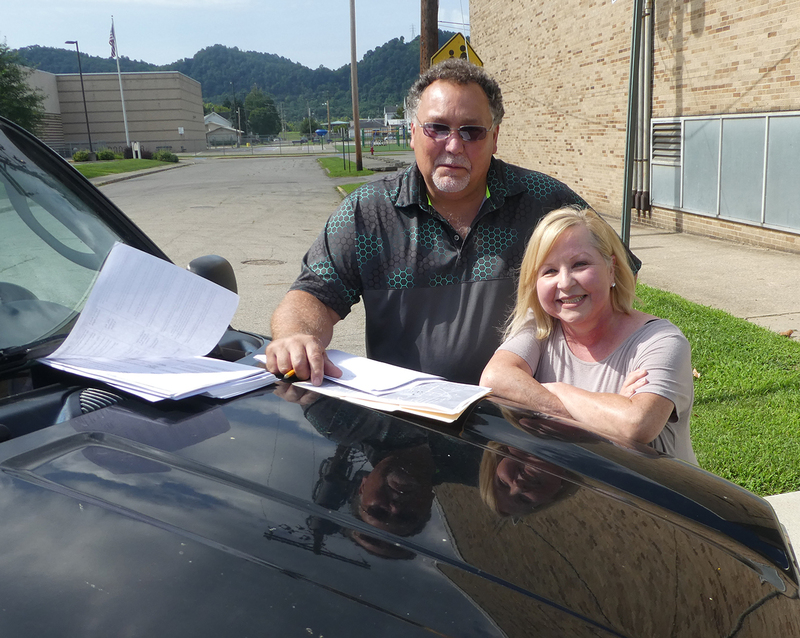 AFSCME Local 3501 member Susan Reed, right, and Athens Regional Director John Johnson joined Ohio Council 8 members across the state for Ohio AFL-CIO Day of Action. You’ve worked hard and played by the rules and at the last minute, the goal post is moved. All people want is what they have worked for and what was promised – a pension they can count on to retire in dignity and security. 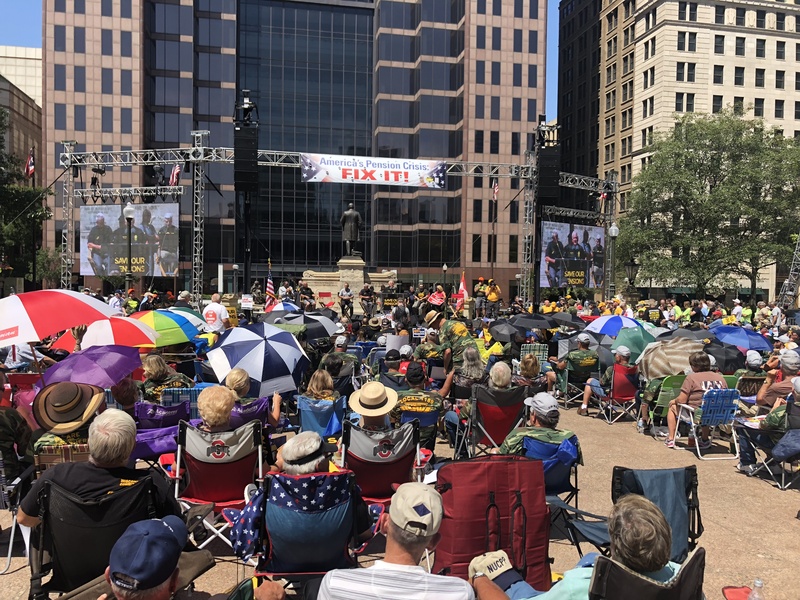 So said a crowd of thousands who gathered at the Ohio Statehouse to call on their elected representatives — both in Columbus and Washington — to save their dwindling pension funds. The massive crowd gathered for a rally ahead of a rare Congressional field hearing at the Statehouse the next day. The hearing included Ohio’s U.S. Sen. Sherrod Brown, a key part of a joint congressional committee tasked with solving the mounting pension crisis affecting the pensions of about 1.3 million private sector retirees and active workers. They belong to multi-employer pension plans, including the massive Central States Pension Fund for Teamsters, the United Mine Workers Pension Plan, the Iron Workers Local 17 Pension Plan and hundreds of other plans which are on the brink of failure. “Public employees are wrong if they think this doesn’t affect their public employee pensions like OPERS and SERS,” said AFSCME Ohio Council 8 Political and Legislative Director Robert Davis. “Those pension dollars go right back into the economy. If the retirees can’t pay their bills it will slow down the economy and make it harder for public employers to keep up their constitutions to our public pensions,” Davis said. The hearing at the Statehouse was the fifth on the pension crisis, but the first one outside of Washington, D.C. Ohio was chosen because it is among the states with the most pensions at risk. Sen. Brown proposed the Butch Lewis Act that many in attendance supported, but it failed to get bipartisan support. That bill would have created a low-interest, 30-year federal loan to troubled pension plans, with no cuts to retirees’ benefits. Ohio Sen. Rob Portman is also on the bipartisan committee. By the end of July, the committee will finish its hearings and work toward crafting a solution. Any solution must be approved by five out of eight members of each party on the committee, then pass both the House and the Senate by an up-or-down vote, with no amendments allowed to be added. Trump’s executive orders represent a broadening of the get-tough initiativesthat have played out in individual agencies since he took office, including recent efforts to force unions to move out of government-paid office space and to rein in the use of official work time by union representatives who deal with employee grievances and disciplinary matters. As the largest government workers’ union, with 700,000members, the AFGE says management’s contract is illegal — and guts previously negotiated provisions for telework, performance evaluations, work schedules and other protections. The union is awaiting a ruling from the Federal Labor Relations Authority onits complaint of unfair labor practices.